Big screen adaptations of popular books have been a widely debated subject. Some are incredible masterpieces that have spawned international fandoms (i.e., Harry Potter, Hunger Games and Twilight), others are indie gems that inspire a lucky few while the rest just fade back to the shelves. I'm always open to trying something new and not judging something before I see it. 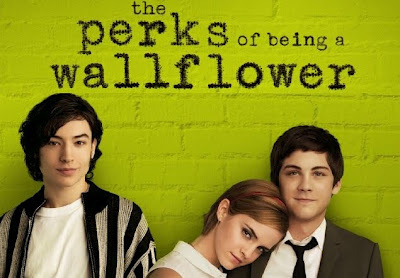 However, there's one adaptation I really want to see: The Perks Of Being A Wallflower. I haven't read the book. There... I said it. I love books and usually carry one in my bag but I haven't checked it out quite yet. Back when I used to work at Indigo in college, I remember selling this book to a customer who absolutely raved about it. Obviously being young and busy working at the store, I brushed it off and went back to work. Now that it's been about three years and watching the trailer, maybe I did miss out on a good book? There was a premiere at the Toronto International Film Festival, but there's still a chance to catch it when it heads to theatres. Emma Watson and Logan Lerman are good performers and from the two minute trailer, it looks like they won't disappoint. This trailer is a little dated but it still provides the same emotion. Feel free to check out the video below and determine whether you'll catch the film tomorrow.